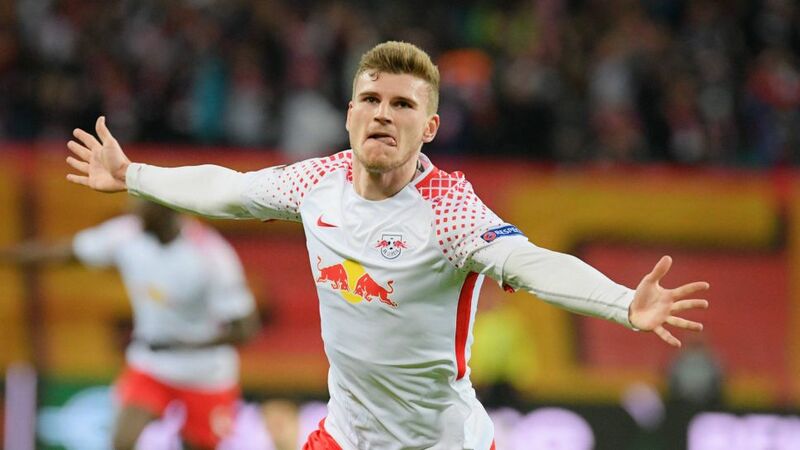 RB Leipzig will take a slender lead to the Stade Velodrome next Thursday afterTimo Werner's goal gave the European debutants a 1-0 lead over Marseille in the first leg of their UEFA Europa League quarter-final clash. Click HERE to follow all the build-up to the second leg LIVE! Leipzig had to weather a storm in the early stages as they were given a taste of the level of competition in the latter stages of European football, but Ralph Hasenhüttl's men are battle-hardened and they did not lower their guard. Emil Forsberg whipped their first chance of the game over with a free-kick before, on the cusp of half-time, Werner threaded a shot clinically through the legs of Marseille goalkeeper Yohann Pele to put the hosts in front. Marseille squandered chances to level through Lucas Ocampos and Dimitri Payet, while Leipzig tried to get their foot on the ball and preserve their advantage. Chances became a rare commodity for the European debutants, with Werner flashing his clearest sight of goal wide, but Rudy Garcia's guests lacked the invention to force a way through Leipzig's well-drilled made-in-France defence of Dayot Upamecano and Ibrahima Konate. Without breaking too much of a sweat, Leipzig were able to hold on to a slender advantage which they will take with them to the south coast of France next week, where they will look to extend their already amazing debut European campaign. Werner has scored seven goals in Leipzig's last eight European fixtures.Leipzig goalkeeper Peter Gulacsi has played every minute of his club's 11 European matches.RB are the only team still in the competition not to have appeared in a UEFA final.Leipzig are now seven games unbeaten in all competitions, with four wins and three draws.RB kept their first clean sheet in Europe.German teams are now unbeaten in their last 13 games against French sides in the Europa League – seven wins, six draws.